Starts at 12:45 pm – Recruiting Session – Leonardo Room – 5432 … Meet us! Are you a professional looking for work? Is your company is looking for experts on PostgreSQL? 5432 … MeetUs! It is the opportunity to hire and be hired. Password: Skill of PostgreSQL! 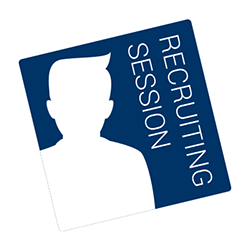 The special recruitment session allows you to obtain and offer employment in the diverse world of PostgreSQL. The recruiting session will be given a prominent position within the program. The representatives of companies seeking staff will have the spotlight: every company will have 5 minutes to describe their practice areas and skills they are researching. Later, the candidates will deliver their Curriculum Vitae and talk about possible job opportunities with the same representatives of the companies. This is not the time for a proper interview, but a brief encounter that will allow both parties to get to know each other and connect to build a future relationship .